When you are looking for a letter plate for your door, what makes you choose one design over another? Are you looking for design, durability, functionality or security? 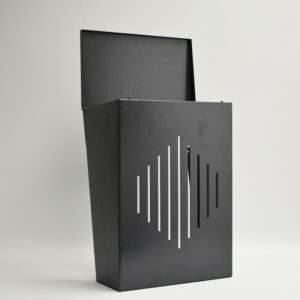 We have designed a number of door letterboxes which combine all these aspects with simple, hard wearing galvanised steel components that will not rust or break after a British winter. They are then powder coated to maintain their good looks and will compliment your other door furniture. All priced to offer value for money while maintaining high quality. These letterboxes for doors do not contain any springs or brushes to fail so no more snapped fingers or ripped and crumpled post. Simple to install, these letterplates are built to last and will compliment any door. 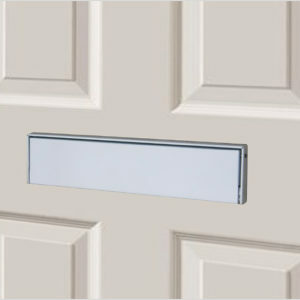 If you are replacing a current letterbox, please make sure to check the aperture sizing to ensure a good fit. If you are looking for a letterbox to fit to your gate or fence we have a letterplate designed especially for you, which can be used with our W3-6 collection box. Alternatively have a look at our individual rear access letterboxes which combine the letterplate and collection box in one secure unit.